Fidelity Investments, Inc., AKA Fidelity, is a financial services corporation based in Boston, Massachusetts. 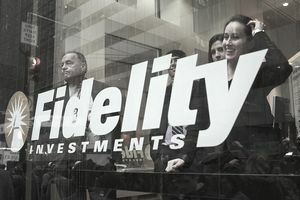 Fidelity is tone of the largest asset managers in the world and is best known for their no-load mutual funds and services for retirement plans, such as 401(k) plans and individual retirement accounts (IRAs). Fidelity has dozens of low-cost, top performing mutual funds in several diverse categories. While Fidelity may be best known for their outstanding actively-managed funds, they also offer some of the cheapest index funds available on the market. Therefore it's no wonder why Fidelity is one of the best no-load mutual fund companies in the investment universe today. Fidelity offers so many high quality mutual funds, it's not easy narrowing down their roster of funds to a select group. In this list of best Fidelity funds to buy, we'll break it down into three categories of funds that Fidelity does best: 1) Best Actively-Managed Funds, 2) Best Index Funds, and 3) Best Balanced Funds. Fidelity Actively-Managed Funds: I wanted to see long-term performance that beats the fund's relative index, manager tenure of at least five years, and unique qualities that set them apart from other funds in the list. Fidelity Index Funds: I wanted to list a variety but primarily looked at diversified funds with low expense ratios. Fidelity Balanced Funds: I looked for at least choices that can work for various investors, strong performance record, and diversified portfolios. Actively-managed funds are what their name suggests -- portfolios of investment securities that the manager buys and sells at their discretion, usually for the unstated objective of beating a relative index. For example, an actively-managed large-cap stock mutual fund will hopefully outperform the S&P 500 Index in more calendar years than not and should have long-term returns that are better than the index. Fidelity Contrafund (FCNTX): This large-cap stock index fund has had the same manager, Will Danoff, for over 25 years and his performance track record has been a stellar one. Since the fund's inception in 1990, FCNTX has averaged more than 12% return, which is a rare feat in the mutual fund world. The fund invests in growth stocks and value stocks, most of which are large-cap, with a few mid-cap stocks in the mix. The expense ratio for FCNTX is a reasonable 0.74% and the minimum initial purchase is $2,500. Fidelity Strategic Dividend & Income (FSDIX): This 4-star fund invests primarily in value stocks for the objective of producing income in the form of dividends for shareholders. But the fund also has a growth objective. Therefore FSDIX can be a good choice for retired people who want to buy funds for income purposes but it can also be a good fit for investors looking for long-term capital appreciation. The expense ratio for FSDIX is 0.78% and the minimum initial purchase is $2,500. Fidelity Select Bio-Technology (FBIOX): This is a health sector fund, which means it focuses its stock holdings primarily on companies within the health sector, in this case the bio-technology sector. Although bio-technology health stocks have potential for great appreciation, they can have short periods of steep declines. Therefore FBIOX can be considered and aggressive stock fund, which means it's appropriate for long-term investors who don't mind the ups and downs of such investments. The expense ratio for FBIOX is 0.74% and the minimum initial purchase is $2,500. Fidelity Growth Company (FDGRX): This 5-star fund is another example of a top performing mutual fund that benefits from a seasoned manager, Steven Wymer, who has been at the helm of FDGRX since 1997. The fund invests primarily in large-cap stocks that the manager believes have the potential for above-average growth. The expense ratio for FDGRX is 0.85% and the minimum initial purchase is $2,500. Note: As of June 20, 2016, FDGRX was closed to new investors. Fidelity Spartan 500 Index (FUSEX). One of the best S&P 500 Index funds on the market, FUSEX does a great job of tracking the S&P 500 and has one of the lowest expense ratios (0.015%) in the entire mutual fund universe. Because of its broad exposure to over 500 of the largest U.S. stocks, FUSEX makes a good core holding for a long-term portfolio of funds. The minimum initial investment for FUSEX is $2,500. Fidelity U.S. Bond Index (FBIDX): If you're looking for a Fidelity index fund that does a good job of covering the U.S. bond market, you'll want to consider FBIDX, which tracks the Barclays Capital U.S. Aggregate Bond Index. This means shareholders of this bond index fund will get exposure to thousands of bonds, making FBIDX a diversified holding to cover the bond market. The expense ratio for FBIDX is 0.025% and the minimum initial purchase is $2,500. Fidelity Mid Cap Enhanced Index (FMEIX): If you want an outstanding mutual fund that offers exposure to mid-cap stock, FMEIX is one of the best funds you can buy in this category. This 5-star fund tracks the Russell Mid Cap Index, which means shareholders of FMEIX will get broad exposure to about 300 stocks of middle capitalization. Mid-cap stocks have greater growth potential than large-cap stocks but it can also see larger short-term declines. This makes FMEIX an aggressive holding that is most appropriate for long-term investors with relatively high tolerance for risk. The expense ratio for FMEIX is 0.59% and the minimum initial purchase is $2,500. Balanced funds invest in a balance of stocks, bonds and cash, hence the "balanced" moniker. They can be smart investment choices for investors who want to invest in just one fund or those who would like a solid core holding to build around. Fidelity Balanced (FBALX): This is a moderate allocation fund, which means shareholders of FBALX will get a medium-risk asset allocation of roughly two-thirds stocks and one-third bonds. Although this mix is lower risk than a portfolio of 100% stocks, the long-term returns have historically been near what you'd expect for a pure stock fund. Since the fund's inception over 30 years ago, FBALX has put up an average rate of return of approximately 9%. The expense ratio for FBALX is 0.55% and the minimum initial purchase is $2,500. Fidelity Freedom Income (FFFAX): This fund is one of the "freedom" funds from Fidelity and it's the most conservative of the group. It's purpose is to provide income while preserving principal. Therefore the fund is most appropriate for investors who are more interested in keeping what they have than growing their account balance. The expense ratio for FFFAX is 0.47% and the minimum initial purchase is $2,500. Fidelity Capital & Income (FAGIX): This 5-star fund can accomplish both the growth and income aspects of investing by balancing the stock, which comprises about 20% of the portfolio, and bond asset allocation, which is about 80% of the portfolio. Therefore the market risk is higher than a bond fund but lower than a stock fund. However the long-term returns have been consistently higher than most bond funds. The expense ratio for FAGIX is 0.67% and the minimum initial purchase is $2,500.